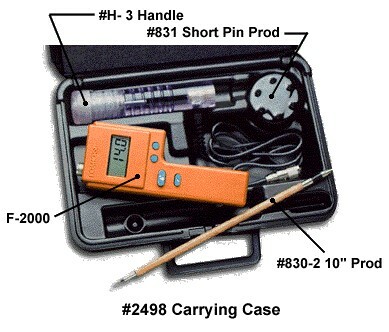 This moisture meter is based on the handy and popular F-2000 and is explicite calibrated for tobacco. A number of specific electrodes are connectable depending on the specific phase of the process. The F-2000T is delivered complete with carrying case.